The Tropica Collection adds warmth with a touch of nostalgia to your bathroom. 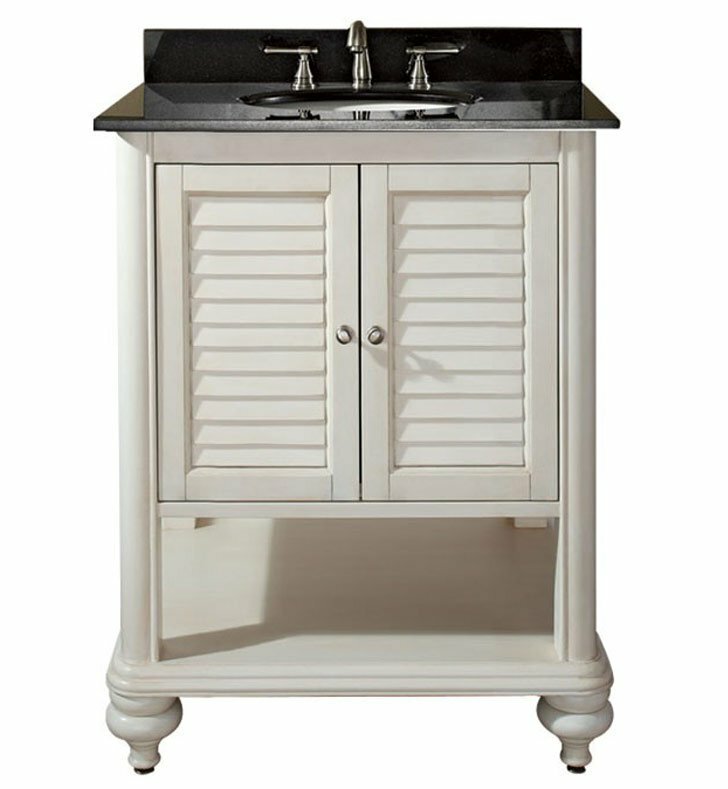 Offered in a rich antique brown finish or weathered white over solid birch and veneer construction. 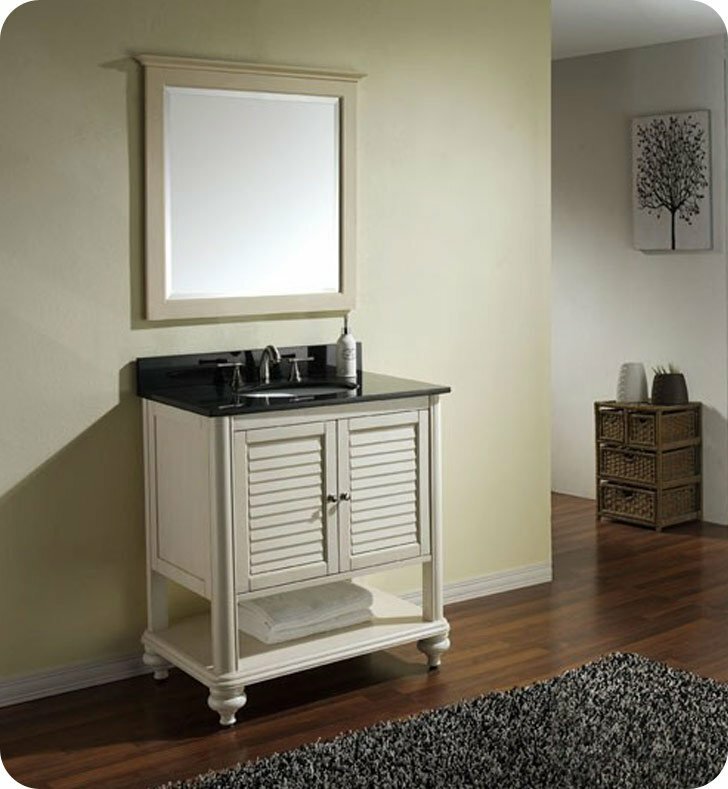 The vanity features soft-close cabinet hinges, brushed nickel hardware, adjustable height levelers and bottom open shelf for storage. Finish off your bathroom with the matching beveled mirror. Birch solid wood and veneer in Antique White finish. Top pre-drilled for 8" widespread faucet. Vanity: W 24" x D 21" x H 34"